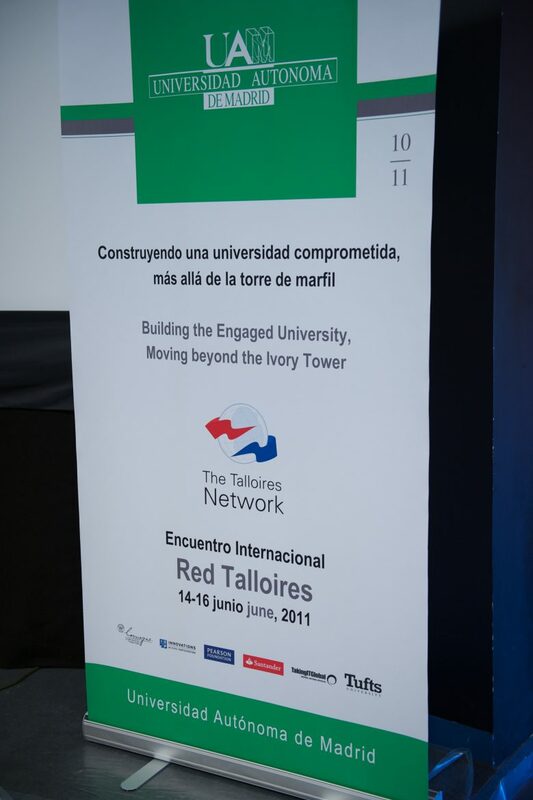 The 2011 Talloires Network Leaders Conference took place in Madrid, Spain, on the campus of the Universidad Autónoma de Madrid (UAM). 215 university leaders, vice chancellors, administrators, and other guests gathered at the university to discuss the key ideas and topics shaping up the civic engagement movement six years after the founding of the Talloires Network. Aside from invigorating discussions and important presentations, participants got to see different areas of the city outside UAM. The U.S. Embassy in Spain served as a host for an evening reception, and Santander Financial City welcomed the guests for an afternoon. Key speakers at the event included former Tufts University President Lawrence Bacow, Reeta Roy of The MasterCard Foundation, John Fallon of Pearson Foundation, and Brenda Gourley of the Open University. A list of presentation materials can be accessed here. 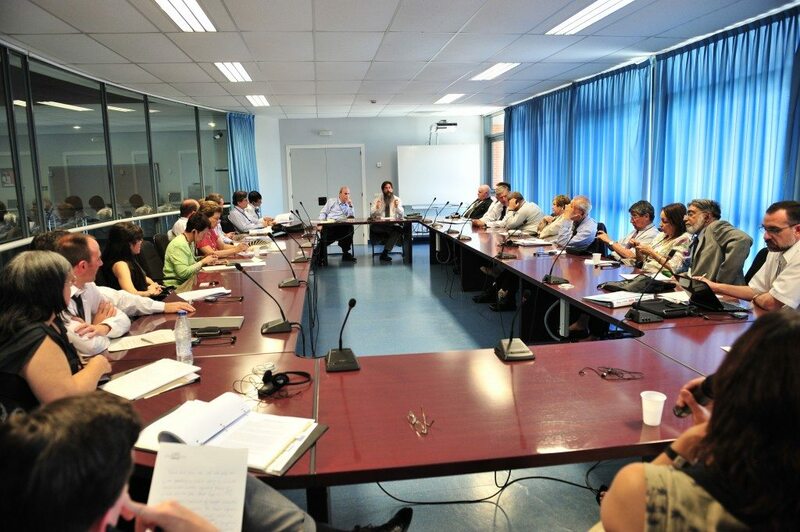 The presentation of The Engaged University: International Perspectives on Civic Engagement was a key part of the agenda. This book was co-authored by TN Founding Executive Director Rob Hollister, and it included profiles of community engagement efforts at twenty universities. The 2011 MacJannet Prize was awarded at the conference. Officials from the Universidad de Buenos Aires were present to accept the prize for the “Community Action Program in Vulnerable Neighborhoods (PIACBV or Programa Integral de Acción Comunitaria en Barrios Vulnerables).” Other universities receiving awards for that year included University of South Africa (South Africa), University of Brighton (United Kingdom), University of Venda (South Africa), Bard College (USA), Tecnológico de Monterrey (Mexico), Dublin Institute of Technology (Ireland), and Charles Darwin University (Australia). University World News served as the conference’s media sponsor. 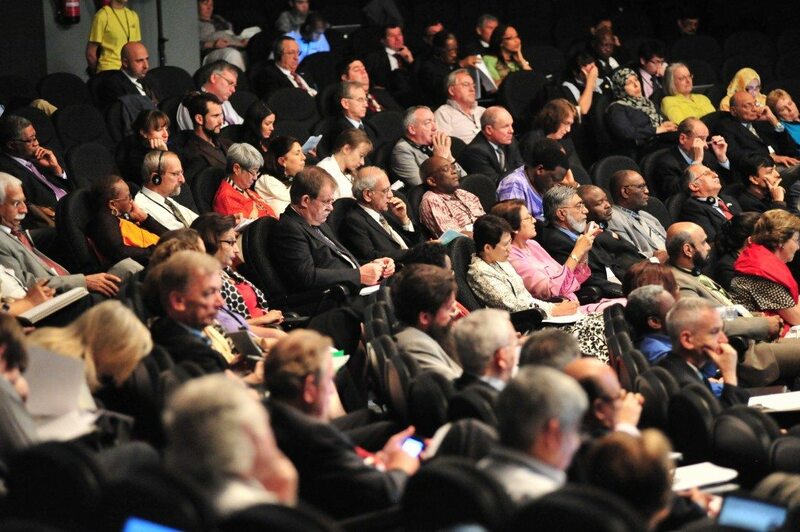 The conference report was published in 2012 and is available for download here.